For many students, shopping for school supplies is an exciting time. Selecting a brand new backpack, the perfect notebook, and the right outfit for the first day of school are all things most of us remember fondly from our academic years. While an exciting time for students, back-to-school shopping can be a different experience for parents: between clothing, school supplies, and activities…costs add up quickly! According to the National Retail Federation’s annual Back-to-School Spending Survey, families with children in grades K-12 plan to spend an average $673.57 on apparel and accessories, electronics, shoes and school supplies. With numbers like these, it’s no surprise that back-to-school shopping can be a source of major financial stress, especially for those families already struggling to cover basic needs such as food and housing. While many may not be able to afford school supplies, these tools are still critically important when it comes to setting up a child for success. Providing a student with the proper supplies to learn not only boosts their confidence in the classroom, but also provides a sense of belonging, and can have a positive impact on reducing absenteeism. Planning to do some back-to-school shopping? Or just want to make a difference in the life of a local student? The Catalogue for Philanthropy has created a comprehensive list of nonprofits in need of supplies to help prepare local students for success. Some of these organizations have specific needs for Fall 2016, others have ongoing needs throughout the school year, and most have wishlists on Amazon.com, making it easy for you to give with a single click. Horton’s Kids (Washington, DC) is committed to ensuring that every child in the program starts school prepared and ready to learn. They need 150 durable backpacks, including 30 backpacks for children in grades K-4, and 120 backpacks or messenger-style bags for children in grades 5 – 12, as well as school supplies. All supplies are needed by July 29th.Click for more details. Donate Cash: DONATE through August 31! $30 will help 2 students. Any amount will make a big difference. Donate Backpacks: July 1-Aug. 5:Larger sizes especially needed.Drop Off or Order on-line through Amazon or Dollar Days. Donate Calculators: July 1- Aug. 5: TI30xa Solar School Edition, TI-83 or TI-84, new or gently used. Drop Off for Order on-line through Amazon. Safe Shores (Washington, DC) is hosting its annual Back to School Drive to provide school supplies and backpacks for children affected by abuse in DC. You can help by donating any of the items on their Amazon wishlist, providing general school supplies or by joining their “Pack-To-School” party on August 4th! The Child & Family Network Centers (CFNC) (Alexandria) invites you to invest in brighter futures for Alexandria children by collecting school supplies for one of their 8 classrooms. Click for details and a link to the supplies needed. Note: CFNC is also looking for corporations interested in their “Adopt-a-Classroom” initiative. Adopt-a-Classroom helps provide books, school supplies, food, and basic healthcare to one classroom. You assist in funding teacher and school staff salaries and empower students and their families to be the best they can be. CFNC has eight classrooms and therefor only eight opportunities for corporations to sponsor a classroom – they will send you quarterly updates and photos of the class and children you have sponsored. Visit this site for more information. For Love of Children (FLOC) (Washington, DC) provides educational services beyond the classroom to help students succeed from first grade through college and career.View items and a link to their Amazon.com wish list here. Good Shepherd Housing & Family Services Children’s Resource Program (Alexandria) helps ensure that children in their housing programs do not miss out on critical after-school and extracurricular enrichment activities simply because their families are low income. This long standing program provides our children with school supplies, holiday gifts, access to summer camps, music lessons, and winter coats. GSH even sends children to local STEM (Science, Technology, Engineering and Math) programs to encourage their education in science and math. 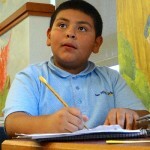 Support their annual school supply drive, or shop their Amazon.com wishlist here. Homeless Children’s Playtime Project (Washington, DC) is helping DC children experiencing homelessness go back to school with the right supplies, as well as encouragement, support, and practical tools they need to focus on their studies. This year Playtime Project is committed to providing children experiencing homelessness with a new backpack, stuffed with all the equipment they will need to excel this fall. Click for details on how to get involved. 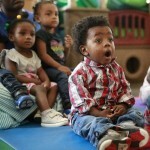 Hope House DC (Washington, DC) – For children whose fathers are incarcerated, displacement often has grave consequences. Contact may be lost, family structure weakened, and reintegration of released fathers made difficult indeed. Enter Hope House, whose dream is to reconnect fathers and kids.On August 28th, Hope House will host a back to school party. Each Hope House Kid who attends receives a backpack stuffed with school supplies. Items needed include: composition books, dictionaries, highlighters, binders, calculators…and more. See details here. New Community for Children (Washington, DC) transforms the lives of children and youth by supporting academic achievement, developing life skills, fostering creativity and cultural awareness, nurturing spiritual connections and growth, and empowering children to succeed. It is currently in need of a number of educational items such as digital cameras, printer ink, school furniture, and more. Reading Partners (Washington, DC) is in need of help filling their reading centers with diverse books through September 30th, 2016. Many students bring up issues of race when working with their tutors. From discussing their identities to understanding those of the characters they are reading about, it is clear that diversity in texts is of the utmost importance to support our students. From this point on, Reading Partners is asking supporters to help collect books specifically featuring girls of color, with the philosophy that resources should be available in order to have intentional conversations about race. 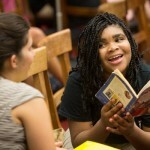 By providing books in reading centers that can help tutors affirm positive thinking and behavior when it comes to race, literacy can be used to inspire confidence in students who need it most. Donors can view book requests here. San Miguel School (Washington, DC) is a middle school, dedicated to transforming lives for academically underserved and economically disadvantaged boys in the Washington, DC, metro area. Immediate needs for the 2016-17 school year include: art supplies (modeling clay, canvases, etc. ), magnetic algebra tiles, audio books/cds, markers, etc. See the full list and Amazon wishlist here. Art Enables (Washington, DC) creates the opportunity for visual artists with disabilities to make and market their honest and compelling work. Art Enables is in need of paint brushes, pencil sharpeners, canvases, paint, and other supplies, which can be found via this Amazon wishlist. Sitar Arts Center (Washington, DC) – Donations of new or gently used arts materials and instruments help to make programs affordable for children from low-income households. Sitar appreciates donations of musical instruments, art supplies, dance shoes and clothing, photography equipment and supplies, sewing machines and sewing supplies, knitting supplies, prom dresses needed for West Side Story musical! Details here. City Kids Wilderness Project (Washington, DC) was founded on the belief that providing enriching life experiences for under-resourced DC children can enhance their lives, the lives of their families and the greater community. CityKids is always in need of the following new or nearly new items: Tents (2-4 person backpacking tents), sleeping bags (backpacking weight), balls: soccer, football, kickball, etc., rain gear: pants, jackets, and ponchos, digital cameras, and more. They also have a City Kids REI Gift Registry! DC SCORES (Washington, DC) believes that every child deserves a “team,” and gets the rich, full childhood that he or she deserves. DC SCORES’ innovative model combines poetry and spoken word (developing an individual voice and sharing personal stories is key to knowing who you are), soccer (kids need more exercise than they get, and the skills and teamwork are fun), and service-learning (because our communities are the big teams to which we all belong).DC SCORES will accept gently used soccer gear, appropriately sized for kids 8-13 years old. Donation details here. 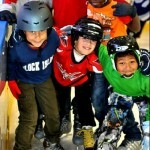 Friends of Fort Dupont Ice Arena (Washington, DC) – Most of the equipment skaters use have been donated by other skaters in the area. FFDIA is always in need of gently used, mid/intermediate level figure, hockey and speed skating equipment in good condition. No hockey jerseys, please.To donate equipment drop it off at Fort Dupont Ice Arena at your convenience. To arrange a pickup of large quantities of equipment, email info@fdia.org. 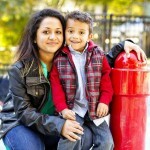 Bright Beginnings (Washington, DC) is a nationally-accredited child and family development center that offers a bright start for homeless infants, toddlers and preschoolers and their families. Back to school supplies for children transitioning to kindergarten, including two sets of uniforms, school shoes, and back packs are needed each August. Supplies in need range from paper (all sizes, shapes, and textures), magazines, art supplies.etc. Falls Church-McLean Children’s Center (Falls Church, VA) provides a comprehensive, high-quality, early-childhood program designed to give all young children, regardless of their family’s economic resources, a strong foundation on which to build the rest of their lives. 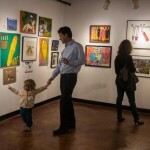 FCMLCC is currently looking for donors to help “set their children’s inner artist free” with the raw materials on their Wish List. 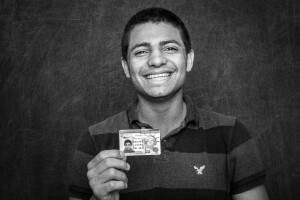 Generation Hope (Washington, DC) is the only community-based nonprofit organization solely focused on college completion for teen parents in the D.C. area. Help these students follow the path to success with the following items: laptops for Scholars (can be used), stamps for mailings, gift cards to Target, Staples, etc. and more. Hillside Work-Scholarship Connection (Greenbelt, MD) helps students overcome the barriers that cause them to drop out and abandon their education. HW-SC is in need of backpacks, art supplies, and general school supplies. Please see their website for more information. Inner City-Inner Child (Washington, DC) places low-income preschool children on the road to literacy and future success by empowering their educators to use the arts to teach academic skills. 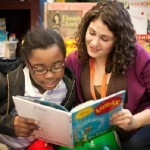 Every year, ICIC donates books to DC’s low-income child development centers to stock their classroom libraries. You can make a donation here. 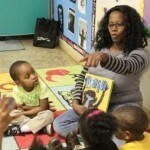 The Reading Connection (Arlington, VA) creates and sustains literacy-rich environments and motivation for reading among low-income children and their families. TRC is in need of new books for children in the Read Aloud program. 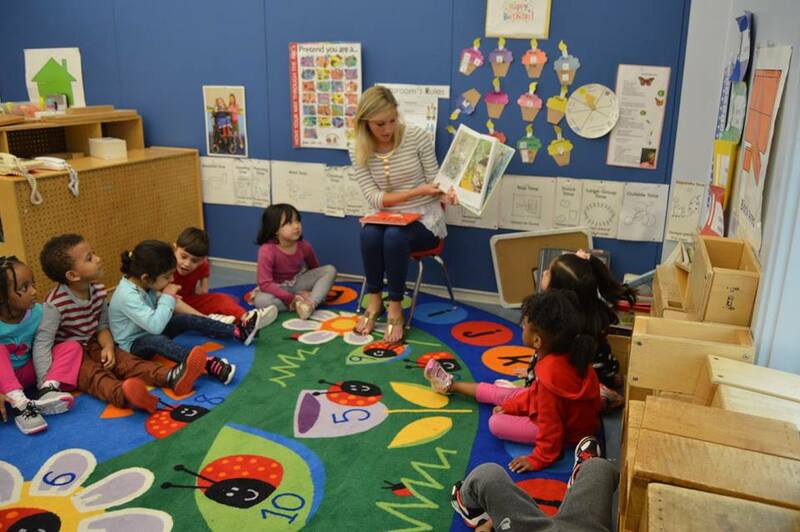 At every Read-Aloud, children choose one or two books to take with them, and TRC is always working to keep the Give-Away Boxes stocked with books that match the interests of the children served. Click to see the titles of books on childrens’ wishlists, or to find how to donate new books to the program. Washington Jesuit Academy (Washington, DC) is a college-prep middle school for boys in 5th through 8th grades in Washington, DC. With a 12-hour school day, 11-month school year and aggressive academic curriculum, WJA prepares students for the opportunities and challenges of college-prep high schools and sets them on an early path toward college. 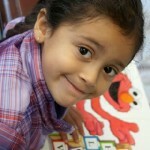 WJA accepts certain, gently-used supplies and goods, as well as pro bono service and talent. Visit their Amazon Wish List or contact us for gift ideas. 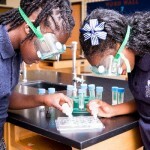 Washington School for Girls (Washington, DC) is an all-scholarship independent Catholic School serving students in grades 3-8, primarily from DC’s Wards 7 and 8. By offering a comprehensive academic program in a supportive environment, students become confident, competent, and courageous young women. WSG accepts donations of supplies, equipment, and services when appropriate, and also has an ongoing Amazon.com wishlist for books. YouthBuild Public Charter School (Washington, DC) is a public charter school that was established in 2005 as an outgrowth of an effective program begun in 1995 by the Latin American Youth Center. It is one of the few alternative schools in the District that serves youth ages 16 -24 who have dropped or aged out of traditional high schools. Gifts of tangible personal property including professional dress clothing for students, computer equipment, books etc. are needed and welcomed donations. Recent surveys reveal a woeful lack of historical education in the United States, and this is true even for DC students who live in a city with a wealth of learning opportunities. But many have never even visited the Capitol. The non-partisan (and non-governmental) US Capitol Historical Society is committed to turning things around. Programs focus on landmark legislation that has shaped the nation, the remarkable art and architecture of the Capitol, the cultural and ethnic diversity of Congress, and other topics that bring history and government alive. The “We the People” Constitution Tour helps eighth grade students understand their government and take pride in their city; Capitol Literacy activities, youth leadership forums, and traveling exhibits spark an early interest in government for elementary and secondary school students. 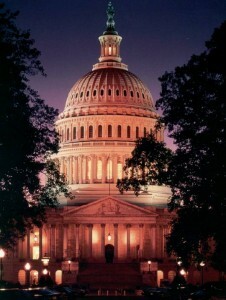 The Society also works to make the Capitol more comprehensible to visitors from around the nation. Working closely with the National Archives, US Congress, the Library of Congress, and others, the Society will always stand up for historical literacy. You can stand with them. Freelance journalists are in a tight spot: subject to financial pressure, intimidation, and even threats, they lack the protections offered by major media outlets. Yet they remain dedicated to investigation, balance, and ‘the story’ — and the Fund for Investigative Journalism backs them up. By covering the reporting costs that freelancers often cannot afford, it advances crucial investigative projects in the US and around the globe. The four dozen grants awarded annually cover camera and recording equipment rentals, the cost of ordering public records, and travel expenses for meeting sources (nearly half of the grantees take their investigations abroad). Over the years, FIJ-sponsored writers have garnered two Pulitzer Prizes, two National Magazine Awards, and the MacArthur “Genius” award. But the real beneficiaries are readers and citizens: reporters have exposed toxic agricultural products sold in Kenya, companies that sold overpriced (and unaffordable) seed to impoverished farmers overseas, and destitute conditions abroad that led to human trafficking in the US. With your support, they will continue to write stories. Since 1973 Ayuda (which means “help” in Spanish) has welcomed tens of thousands of immigrants who want nothing more than to get a new start in “the land of opportunity.” But for so many foreign-born residents (one in eight in DC) simply asking for help is a challenge. Without a solid grasp of the language or legal system, they don’t know where to go or whom to trust. So Ayuda provides a wide range of immigration and family law assistance, as well as social services support, for all immigrants — men, women and children — from anywhere in the world. Along with representation in family- and humanitarian-based cases, Ayuda offers comprehensive services for immigrant survivors of human trafficking and domestic violence — many of whom fear that the police, courts, and even shelters will not protect them. It also offers desperately needed, specialized advice and representation to abused, neglected, and abandoned immigrant children. Ayuda gives clients the opportunity fully and comfortably to call their new country home. 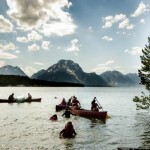 National Park Trust is committed to getting kids unplugged, outside, and inspired by the natural world. Its signature Buddy Bison School Program has engaged 16,000 youngsters with American parks and public lands — 6,000 from the DC metro area alone — providing teachers with hands-on resources for science and history classes that enhance existing school curricula. And the benefits to children’s brains and bodies are undeniable: studies show that spending time outdoors eases symptoms of depression and ADHD, and helps curb obesity and diabetes. To create opportunities for kids to visit local, state, or national parks, NPT handles the logistics and covers transportation costs (the primary obstacle for most schools). 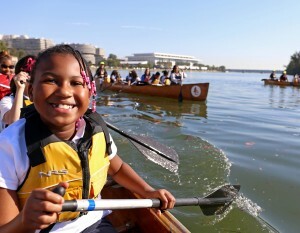 From park trips, to canoe adventures, to service projects, the Trust has made conservation relevant and exciting for thousands of DC-area youth. After all, preservation is at the heart of NPT, which has overseen 100 land projects in parks, forests, and wildlife refuges. The goal of the Trust’s education programs? Cultivating future park stewards and conservationists. What if every high school student graduated with the vision of a leader, the tenacity of an entrepreneur, and the passion of a change-maker? LearnServe empowers DC-area students to become a new generation of leaders, equipped with the 21st century skills and the motivation they need to transform their communities. The Fellows Program teaches participating high schoolers the fundamentals of business planning and entrepreneurship, and then guides them as they create and launch their own “social ventures.” One student founded a scholarship program for children of incarcerated parents; one mobilized teams of peers to teach a hands-on science curriculum at local elementary schools; and another launched a high school financial literacy program. LearnServe also offers summer service-learning trips to Paraguay, Zambia, and Jamaica, where students support ongoing development efforts in poverty, HIV/AIDS, education, and the environment (70% receive financial aid). Since 2004, LearnServe has engaged 800 students at nearly 50 DC-area schools, inspiring kids first to change their communities … and then the world. 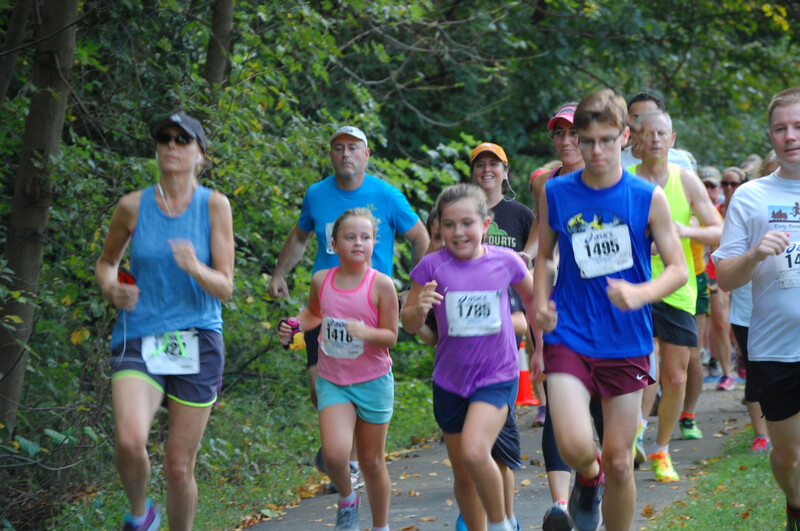 This following post was written by the Greater Washington Girls on the Run councils (comprising of DC, Northern Virginia, and Montgomery County councils). The Catalogue for Philanthropy is proud to feature the GOTR councils for our first collaborative fundraising campaign on April 7th! Girls on the Run (GOTR) is an empowerment program for girls in 3rd-8th grade – giving each participant the skills and experiences she needs to navigate her world confidently and to unleash her limitless potential! We teach girls life skills through a curriculum of engaging lessons and fun running activities. At each season’s conclusion, the girls complete a celebratory 5K run that gives them a lifelong memory of accomplishment. The GOTR program unifies girls around the region. It teaches them to embrace differences and find strength in connectedness, creating a common bond across all socioeconomic lines. 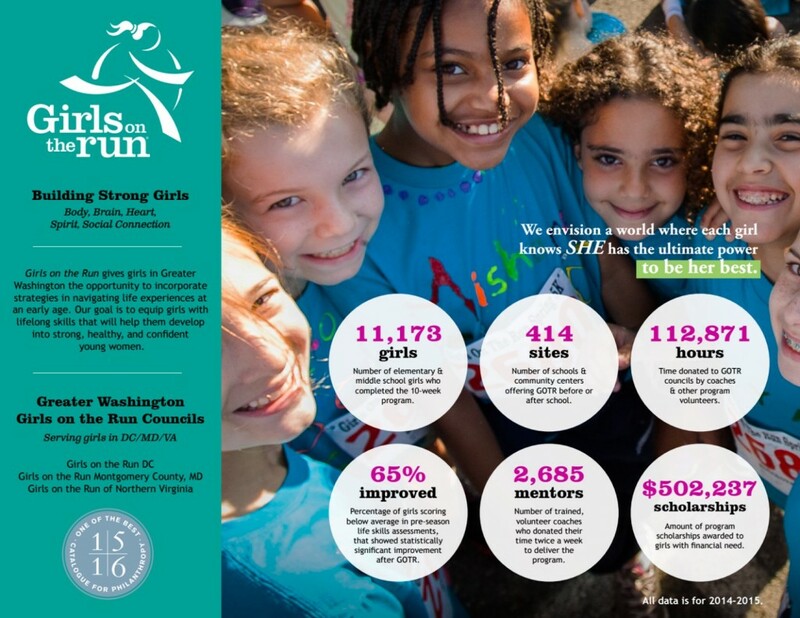 The Greater Washington Girls on the Run councils provided $502,237 in program scholarships in 2014-2015 to girls with financial need. Financial support can make a difference in the lives of young girls throughout the region by providing critical resources or influence for more girls to learn valuable life lessons and know their limitless potential! And, it works! To ensure program quality and efficacy, all of the councils in the Greater Washington area participate in a national survey of our program. The study is designed to determine the impact of program participation on girls’ confidence, competence, connection, character, caring, contribution, and physical activity/inactivity. Since Girls on the Run is a physical activity-based youth development program, we also assess pre- to post-season change in physical activity and sedentary behavior. Findings provide evidence that Girls on the Run is having a positive impact on youth development, particularly for girls who need the program the most. Our impact on girls speaks to the quality of our curriculum, and the support of our volunteers. Like many youth development programs, GOTR believes in the power of mentorship. We believe in it so strongly that it is part of our program model. Each team of girls is led by a female Head Coach who creates a safe space that supports girls’ growth and development. This Coach, along with her Assistant Coaches contribute to this powerful and unique environment, together modeling healthy and supportive relationships. During the 2014-2015 program year, 2,685 people volunteered to be a coach and a mentor to the girls in our program throughout the region. The Girls on the Run councils of the Greater Washington Area are partnering with the Catalogue for Philanthropy to host a one-day giving campaign on Thursday, April 7th. You can help us raise enough funds by giving 90 more girls the opportunity to be healthy, strong, and confident! Looking for directions on how to give this holiday season, but not sure where to start? 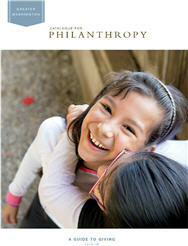 The Catalogue has made it easy for donors to find causes to support, thanks to our “Holiday Giving” page. Through January 1st, Catalogue charities have the opportunity to showcase their end-of-year giving campaigns all one place on the Catalogue website. Each featured charity campaign includes special wish list items to help donors know exactly how their dollars will make a difference for the organization and the people it serves. And the best part? We charge no fees for donations made through campaign pages (or anywhere on our website)! Welcome to week two of our “Getting to Know the Catalogue Review Team” series, where we invite you to get to know the members of our community who help us determine which small charities are the very best in Greater Washington. Part one can be found here. This week we’re featuring Sandra Hoehne, ‎a 2-time reviewer and Catalogue supporter, and Maegan Scott, Program and Communications Officer at Meyer Foundation. This year marks Maegan’s 3rd as a Catalogue reviewer. How did you hear about the Catalogue? And, how did you become a reviewer? Sandra Hoehne, Catalogue supporter: I cannot remember how I found out about the Catalogue. Around ’09 or ’10 I was planning our yearly giving. Like many people, I give at the end of the year so that I know exactly how much we can afford to give. I found the Catalogue’s Donate Now / Decide Later option and was hooked. Also, my husband and I live and work in Arlington and so many of my favorite local non-profits have been featured in the Catalogue. As to reviewing – after meeting Barbara and Nancy and being infected by their enthusiasm and energy, I knew that I wanted to do whatever I could to help them. Donating money was one way, but getting my hands dirty with the reviewing process was the next step. Maegan Scott, The Meyer Foundation: The Meyer Foundation has been a long-time supporter and partner of the Catalogue, and was one of the funders that helped to bring the publication to DC in 2003. Meyer staff has served as reviewers each year since the Catalogue launched in the Washington region. I was honored to become part of that tradition three years ago. What do you enjoy most about reviewing nonprofits for the Catalogue? Sandra: I enjoy seeing that though the need in the DC area is so great in all areas that the Catalogue covers, the drive to help is just as strong and lack of resources does not discourage dedicated people. Maegan: There are actually two things. I love being introduced to organizations that haven’t or may never apply to Meyer for funding. I feel like it gives me a much more comprehensive understanding of the great work taking place across the region. I use that information in a lot of different ways, for example connecting friends to organizations they may fall in love with or even to pursue volunteer opportunities myself. I also just love the Catalogue’s mission and the emphasis it places on storytelling. I know that the organizations that are selected to be Catalogue nonprofits are going to get excellent visibility and coaching and become part of a network that will help increase their overall effectiveness. What is one piece of advice you would give to future Catalogue applicants? Sandra: Be succinct. And, maybe don’t include the resume of each Board Member in your application. Maegan: Remember that this application will be read by a real live human being. I think so many groups are used to producing proposals and reports that are highly structured (especially groups with government grants and contracts) that they hesitate to tell their organization’s story beyond numbers and metrics. Of course, numbers and metrics are important, but don’t lose the passion and enthusiasm that brought you to the work in the first place. I want to read about it! What is one piece of advice you would give to new/future Catalogue reviewers? Sandra: Clear your schedule for a day to do this. It is more taxing emotionally than you would think and you will need a little recovery time. Maegan: Give yourself plenty of time and look at everything, including websites. Spend just as much time with the organizations you’re familiar with as you do with the groups that are new to you. Be honest in the comments; constructive feedback is sometimes more useful than glowing praise. Given your experience as a reviewer, when you see a nonprofit with the Catalogue’s “seal of approval” what does that mean to you? Maegan: I love seeing the Catalogue seal! I think it’s such a powerful branding tool. When I see the seal, I know that this is a well-managed organization doing meaningful and impactful work and that it survived a thorough financial review by RAFFA. And because not all Catalogue nonprofits use the seal, I also know that this organization cares about leveraging and maximizing its inclusion in the Catalogue. How has being a reviewer had an impact on your views of philanthropy in Greater Washington? Sandra: It has really educated me on how much work nonprofits do, in addition to their primary purpose, to handle the very rigorous scrutiny to which something like the Catalogue subjects them. Having good intentions, identifying a need, and addressing it seem to me only a part of the equation. I have new respect for nonprofits that make it through these vetting procedures and are able to sell themselves and prove their worthiness. They not only have to accomplish their stated goal, but the organization itself and the administration have to be exemplary. What do you feel your unique background brings to the Catalogue review process? Sandra: I have been involved in small businesses my entire career. I find myself reading every application as if it were a business plan and the investment being sought is placement in the Catalogue. I wonder what kind of returns can be expected and how quickly. Since space in the Catalogue is limited, I only want the organizations that seem most poised to leverage that “investment” to have access to it. Maegan: Even before working at the Meyer Foundation, a lot of the work I did focused on systems-building — who and what need to be in place to get the job done. Since joining the Foundation, I have seen and learned SO much about what works and what doesn’t work in how nonprofits are built (especially in terms of finance, boards, and executive leadership) and my belief that solid infrastructure matters if we’re going to see the social change that we’re all working to create has deepened exponentially. So a lot of what I bring to the review process is that — I’m assessing the organization’s capacity (including its potential) to advance its mission, I’m asking how well are the internal gears working. When reading applications, have there been any “industry trends” (i.e. program design, donor engagement, ways of measuring impact, etc.) you have noticed since becoming a reviewer? Or, what trends in the nonprofit sector have caught your attention in the past year? Maegan: I’m partially biased because of my role at the Meyer Foundation, but increasingly I’ve noticed organizations using social media as a way to strategically engage all of their stakeholders and not just the rote “thank you” tweet or Facebook post to a foundation or donor as a way of acknowledging a gift. We’re seeing more active engagement with clients and volunteers, and assertive program messaging and advocacy. I’ve also seen more comprehensive and creative ways of talking about sustainability. Beyond secure and diverse funding streams, nonprofits applying both to Meyer and the Catalogue are writing about infrastructure and investing in talent and talent pipelines. Stay tuned next week when we hear from Hedrick Belin, Catalogue reviewer and President of Potomac Conservancy!